The TCSO was founded in 1987 under its original name of ‘’Municipal Orchestra’’ and its first Artistic Director was Kosmas Galileas. It consists of acclaimed musicians and is actively involved in the city’s musical events. Besides performing their own regularly scheduled concerts the orchestra also puts on educational concerts, it appears in co-productions with renowned artists, it has performances with other orchestras, it participates in festivals and international competitions, and it has performed concerts all over Greece and abroad, as well. From 1993-1998 the Artistic Direction was undertaken by conductor Dimitris Agrafiotis and from 1999-2005 by conductor Byron Fidetzis. Starting in 2013 the artistic coordinator of the orchestra was cellist Christos Gribas. From 2001 and through today the position of permanent conductor is held by Haris Iliadis. The role of artistic coordinator for the orchestra has been taken over by conductor Liza Xanthopoulou as of April 2018. Throughout the years of its existence, the TCSO has had the pleasure and honor to host great soloists and conductors such as D. Sgouros, G. Demertzis, L. Kavakos, M. Tirimos, G. Vakarelis, G. Lazaridis, S. Katsaris, V. Repin, F.J. Sellheim, L.L. Galati, R. Moog, L. Oistrach, R. Syracuse, V. Trethiakov, K. Kelly, G. Schuller, C. Struder, Kiri Te Kanawa, and Vanessa Mae, among others. For many years the orchestra has performed the opening concert (and subsequent concerts) in the ‘’Dimitria Festival’’ which is an annual weeks-long extravaganza of cultural events and activities in Thessaloniki. The TCSO has also collaborated with G. Dalaras, F. Pliatsikas, E. Reboutsika, Glykeria, Th. Mikroutsikos, D. Savvolpoulos, E. Karaindrou, K. Makedonas, M. Farantouri, E. Arvanitaki, and G. Gakis and the Troublemakers. The orchestra has appeared at the Athens Concert Hall, the Lycabettus Theater, as well as in numerous cities throughout Greece (Veria, Larisa, Naoussa, Mesolongi, Drama, Igoumenitsa, Kavala, Serres, Volos, Preveza, Kastoria, and Corfu, to name a few) and outside of Greece at the Ancient Theater of Ephesus and in Cyprus. It has made recordings of Vivaldi’s ‘Four Seasons’ with soloist L. Kavakos and maestro Kosmas Galileas and Haydn’s ‘The Creation under the direction of Byron Fidetzis in the year 2000. The TCSO has also performed many operas including The Marriage of Figaro, Don Giovanni and Abduction from the Seraglio (Mozart), Il Campanello Di Notte (Donizetti), ’The Medium (Menotti), Gianni Schicchi and Turandot (Puccini), Momo (Alkis Baltas), Il Trovatore ’and La Traviata (Verdi), Salome (R. Strauss), Die Fledermaus (J. Strauss), Carmen (Bizet), Orpheus in the Underworld (Offenbach). In February 2016 the TCSO performed for the first time in Greece the opera The Puritans by V. Bellini. In addition to its work in opera the orchestra has also performed the ballet Sleeping Beauty (Tchaikovsky) and the major oratorios The Passion of St. Matthew ( Bach) and Missa Solemnis (Beethoven). Finally, in recognition of TCSO’s valuable contributions towards the promotion of Greek composers’ works, internationally famous composer and Boston University professor, Th. Antoniou, dedicated his 1st Symphony to the orchestra which had its world premiere on January 19, 2003. 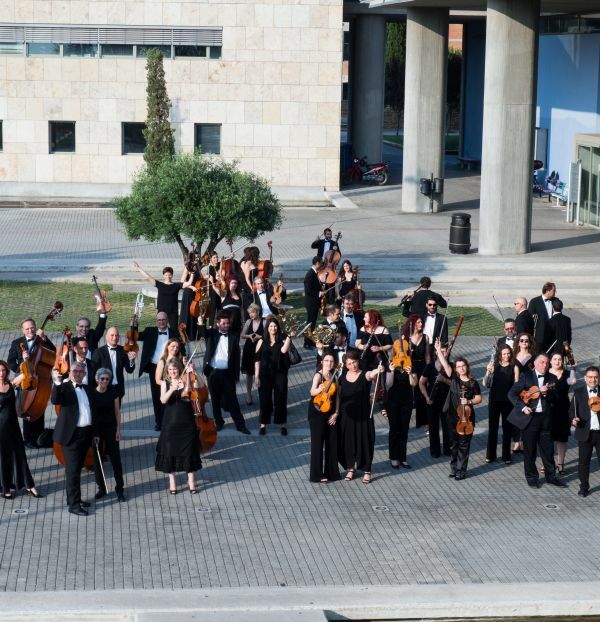 The Thessaloniki City Symphony Orchestra supports established as well as newly emerging Greek musicians and contributes substantially to the cultural life of Greece.